CONCORD- Mrs. Germaine P. (Raymond) Ladurantaye, 94, of Concord formerly of Suncook, passed away peacefully at home surrounded by her loving family on September 12, 2018. Born in Suncook on October 19, 1923, Germaine was the daughter of the late Emile and Aurore (Lefebvre) Raymond. She was raised and educated in Suncook. She traveled throughout the world with her husband and children. She lived in Paris, Japan, throughout Europe and the United States before settling in Concord in 2004. 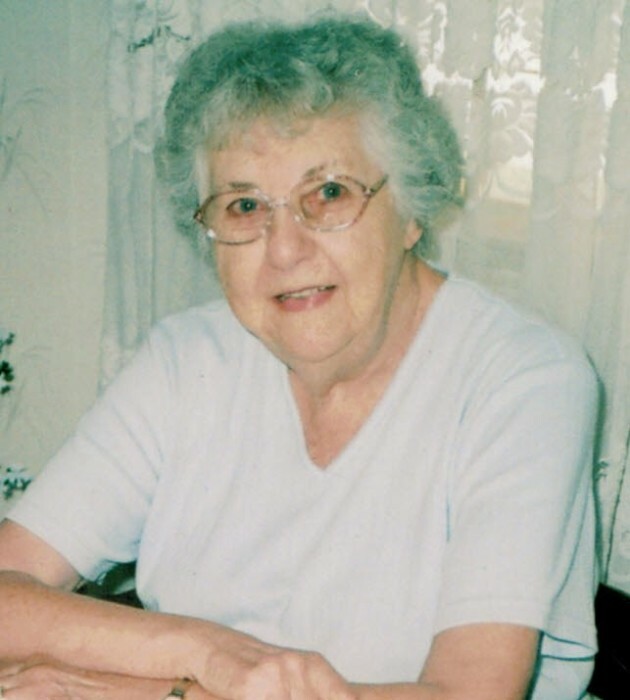 Prior to her retirement, she was employed as an Inspector for General Electric Co. She was a communicant of St. John the Baptist Church, where she was a member of the St. Therese Rosebush Society and the Ladies of St. Anne. She enjoyed traveling in the RV, reading, playing cards with friends and going for the occasional ice cream at Langs. She is predeceased by her brother Norman Raymond, sister Dolores Lavertu, son in law Robert Saturley and grandson Matthew Saturley. She is survived by her beloved husband, Roger R. Ladurantaye; her three daughters, Joan Lozeau of Manchester, Joyce Saturley of Newbury and Janice Gravel and husband Mark of Holderness. She was the loving grandmother to Elizabeth Saturley and her husband Randolph and Lisa Gravel and her fiancé Michael Cantin. She was the great grandmother to Evan, Isabelle, Xavier and Donovan.